We’ve been watching San Cisco grow up for a while now. Their third album The Water, which was released on Friday, feels like they’re at that stage in life where they’re finally ready to move out of that dingy share house and buy some nice wine glasses. For the most part, the Fremantle quartet’s formula hasn’t changed all that much. However a few welcomed surprises are splattered throughout this record, and it is these surprises that will keep you listening all winter long. San Cisco attributes a more collaborative approach that came to life in the studio as the source of this record’s diversity. But whatever it was, it works. The result is their most nuanced, complex and, I would argue, best release to date. 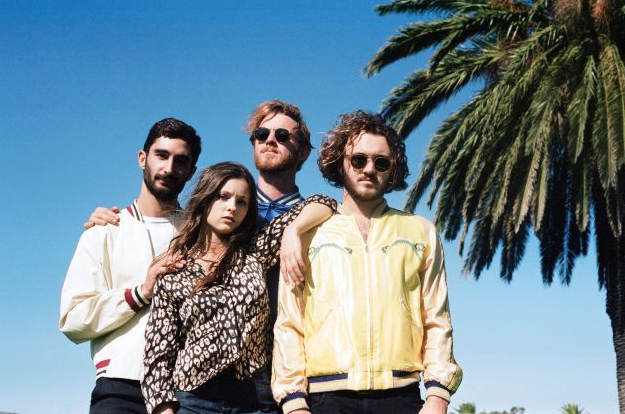 Each of the fourteen tracks are packed with the San Cisco’s variety of triple j ready indie-pop. A sound best described as The Cure meets 80’s high-waisted guitar pop meets Matt and Kim. While subtle differences from prior releases push The Water into a league of its own. For one, the band’s signature duets between lead singer Jordi Davieson and drummer Scarlett Stevens are noticeably absent. On first listen, this was a major drawback for me, especially on tracks like 'The Distance', where it appeared Steven’s super sweet harmonies would have been a welcome addition. However, this move has allowed San Cisco to evolve from cutesy teen band to a serious force in Australia’s music scene. The band has also experimented with some unique sounds — showcased perfectly on 'Waiting For The Weekend', where a spooky Theremin synth sounds like it would be at home as a sound effect on the Mighty Boosh. The album’s highlight is on the last track, 'Make Me Electrify'. It’s the longest track on the album and also the most unique. It gives a glimpse of what this band could become and sets them up for a fourth album, which if this track is anything to go by, could see the band completely shed itself of the teen-bop image. San Cisco is taking the album on a massive nationwide tour, with a tonne of dates locked in. Thelma Plum will also be joining them on the road, so be sure to catch them when they’re near you.